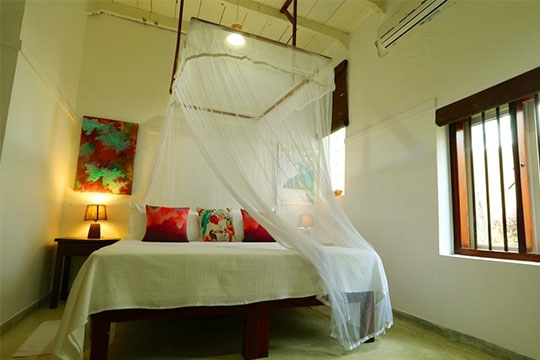 Boasting absolute beachfront on a delicious slice of sand south of Ambalangoda, Six Degrees North is a chilled tropical retreat for a family or group of friends. 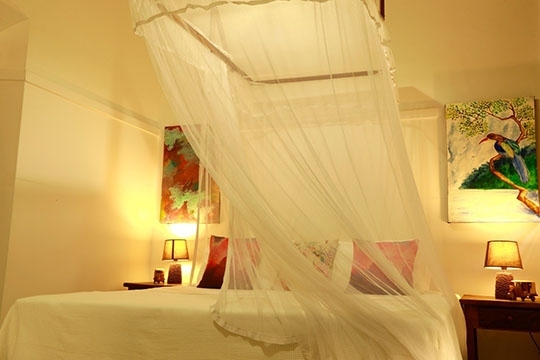 Homely, relaxed and fully staffed, this 5-bedroom property with palm-peppered garden, pool and garden pavilion also offers a variety of Ayurvedic treatments. The sea plays a blissful background tune to stays at Six Degrees North as waves roll persistently onto a long swathe of sandy shoreline right in front of the villa. Wherever you choose to rest, whether it’s on a sunbed in the garden, a sofa in the lounge or even tucked up in bed, the sea never fails to make its striking presence known. Wander down the palm-shaded garden towards the lovely turquoise L-shaped swimming pool (with kid’s section) and the grass underfoot soon turns to sand as it merges with the wave-smashed beach beyond. The shoreline, stretching into the hazy distance is perfect for long strolls, jogs and outdoor games whilst, during the high season (November to April), the mesmerising aqua sea invites swimmers and body boarders, as well as snorkelers to a reef 100m offshore. 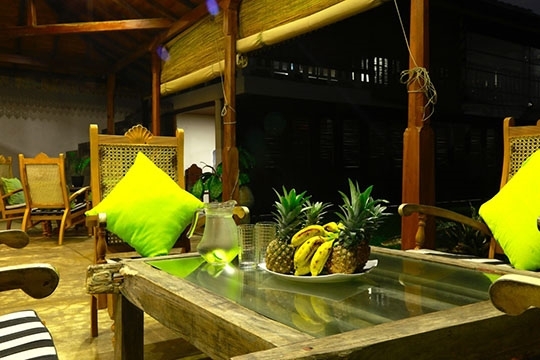 The name ‘Six Degrees’ comes about as the villa sits six degrees north of the equator. On finding this beach house, which was then nothing more than a simple cottage, the owners carefully restored it and seamlessly added a new section to the front. 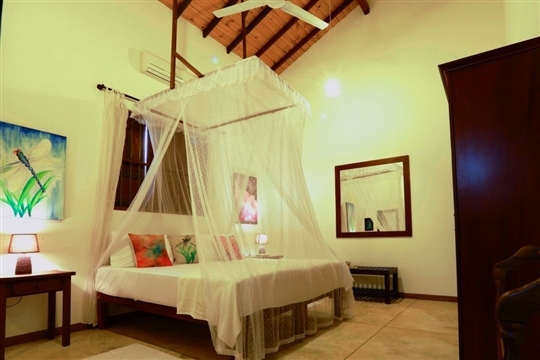 As a result the villa is wonderfully spacious, with its five bedrooms each being of similar size and comfort. 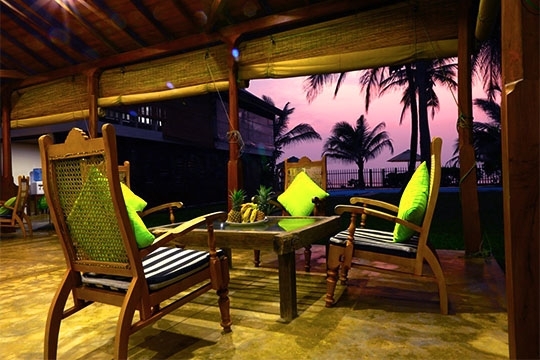 The contemporary open-plan living space combines the kitchen, lounge and dining room, and spills onto the front veranda, beyond which, in full view of the sea, is a newly built pavilion with top-floor dining deck and ground floor open-sided Ayurveda spa. 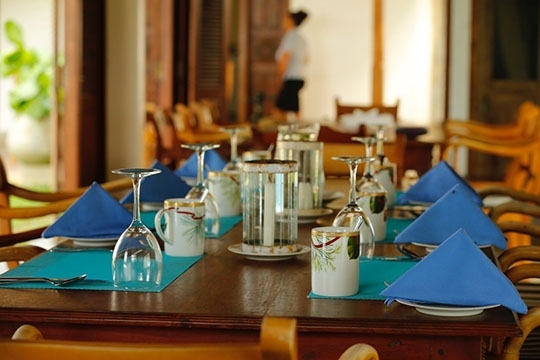 The villa comes with a full staff team, including a friendly manager who provides everything that guests might want or need – including lobster for the barbecue and taxis to the airport. 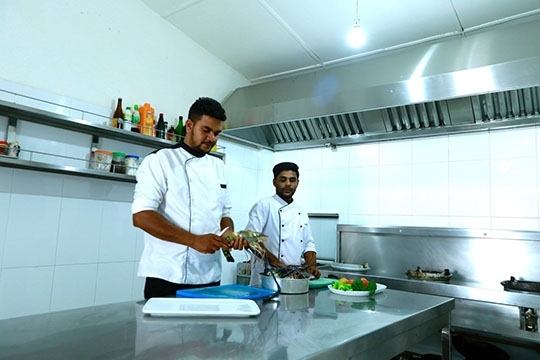 Guests can choose to self-cater or be catered for by the villa’s chef who makes delicious Sri Lankan cuisine and seafood dishes according to a priced menu. 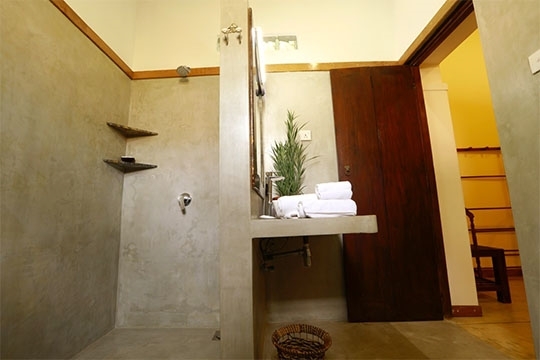 One of the staff members is also a trained Ayurvedic masseuse, and an Ayurvedic doctor can prepare full treatment plans (charges apply). When it comes to onward travel, you couldn’t be in better hands. The manager used to run a tour company in nearby Hikkaduwa,and can offer plenty of advice on sightseeing, locally and across Sri Lanka. 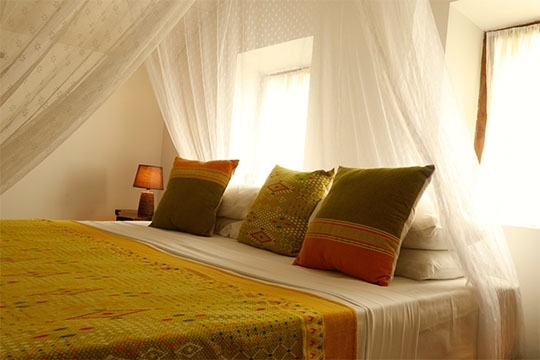 The staff were all incredibly hospitable; every request was handled with ease. 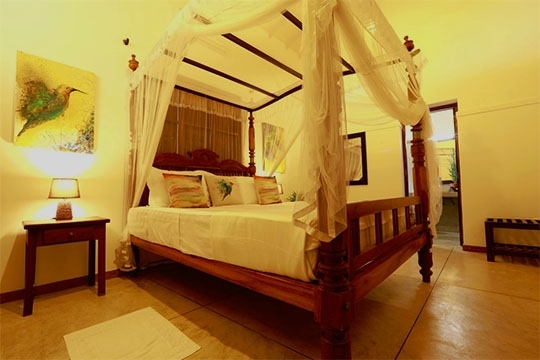 Six Degrees North stands beside the beach in Madampe, near Parrot Junction, a few kilometres south of Ambalangoda. This region is an up-and-coming tourist destination that remains for the time being largely undeveloped and pleasantly undersubscribed. The long stretch of sandy beach here is one of the west coast’s better-kept secrets and, aside from the odd jogger or walker wandering the soft sands, sees few visitors. During the west coast season, from November to April, this beach is very popular with the local fishing community. Nets cast into the sea are pulled daily onto the shore whilst boats bob over the reef opposite the villa; fishermen poised upon them to dive for lobster hiding in the rocks below. Banks, shops, money changing facilities and tourist attractions can all be found 2.5km up the road in Ambalangoda. Ambalangoda is a busy provincial town famed for its mask making, southern style of dancing, antiques shops and, on its borders, its valuable moonstone mines. 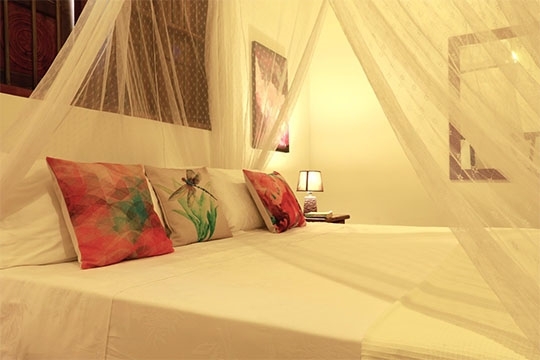 Undeveloped and relatively low-key, Ambalangoda’s underexposure to tourism is an attraction for many looking for adventure, discovery and seclusion. 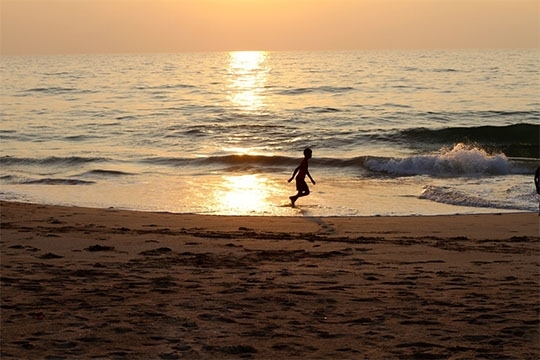 Although the town itself is a little frantic, the tropical golden beaches that stretch south towards Uruwatta and north towards Balapitiya are tranquil and often deserted except for the fishermen that pull their nets and drag their colourful catamarans onto the beach. Here and there marine turtles heave themselves onto the sand to lay their eggs under cover of moonlight; their little babies, in due course, freeing themselves from the sand and scampering desperately out to sea. Inland, a Buddhist temple on a hilltop boasting beautiful panoramic views is home to South Asia’s longest sleeping Buddha whilst the beautiful landscape of the Madhu Ganga River with its spice islands, temples and bird life is on the northern fringe of town close to Balapitiya. Boat trips atop this gentle waterway are a highlight of any holiday. Ambalangoda has a railway station and is well-facilitated with banks, pharmacies, supermarkets, a few restaurants and shops. Six Degrees North is a delightful renovation of an old house with a new construction built seamlessly onto the front to complement and extend the property. As such, the five bedrooms are spacious whilst the living and dining areas are suitably contemporary and completely open plan. 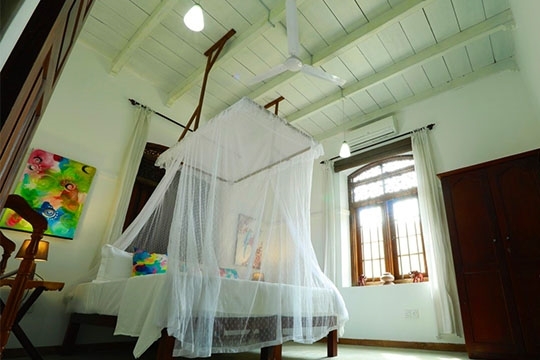 All five air-conditioned bedrooms come with split-king beds (which can easily be converted into twins), the remaining room, Bedroom One, has a king-size four-poster. 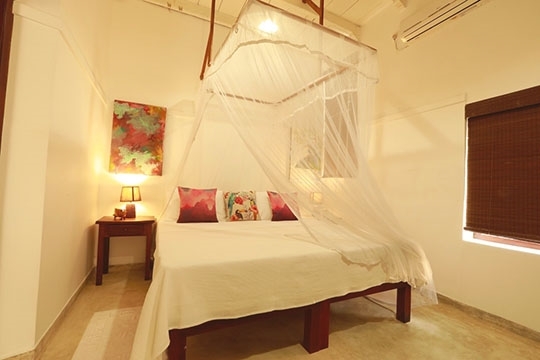 Beds are dressed in the softest Egyptian cotton and rooms are equipped with ceiling fans, wardrobes and ensuite bathrooms with piping hot showers. 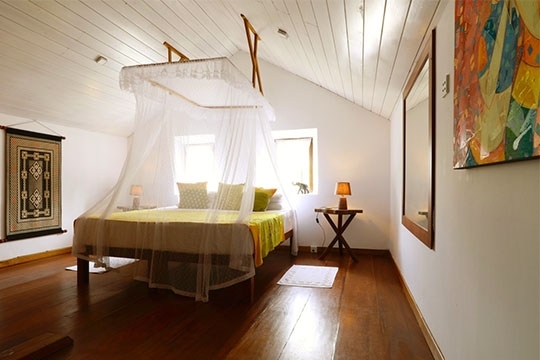 Four bedrooms are located on the ground floor, whilst the fifth is secreted up a white timber staircase in the ‘attic’ of the older portion of the house which would once have been used to store spices and rice; its bathroom is accessed across the landing. 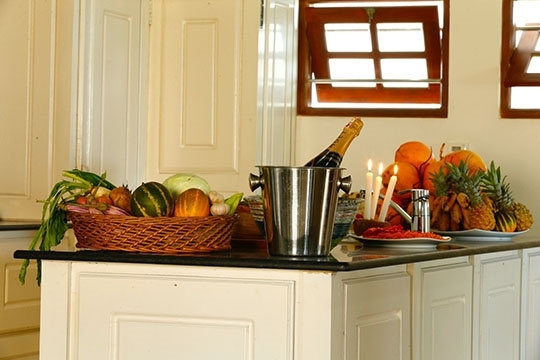 Today, the aroma of spices has long since disappeared, to be replaced by the pleasant aroma of pinewood used in the construction of the ceiling and walls. The sociable open-plan living and dining space comes with a sofa, satellite TV, a DVD player and an iPod dock. The dining area is furnished with table for six situated next to a fully equipped, open-plan guest kitchen finished in smooth granite. A pair of folding doors leads from the living area onto a deep furnished veranda, opposite which is a newly built pavilion with a shaded top-floor living and dining deck. The garden stretches out beyond with gorgeous views of the sea. 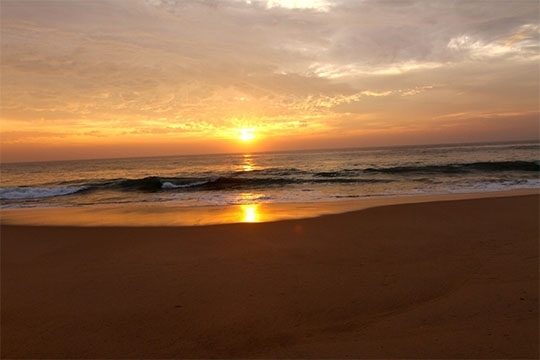 To the south of town, stretching for a couple of kilometres are Ambalangoda’s best beaches. Here you can stroll for a few kilometres and swim with care from October to April. This huge museum, the larger of two in town, documents the history of kolam (folk) dances and sunni yakuma (healing) dances through interesting, well-laid out displays showing the evolution of each mask and their unique style. There’s a shop here too and you can see mask makers in action. Ambalangoda’s best-stocked one-stop-shop for grocery items. There’s also a pharmacy here and a small selection of liquor, beer and wine. 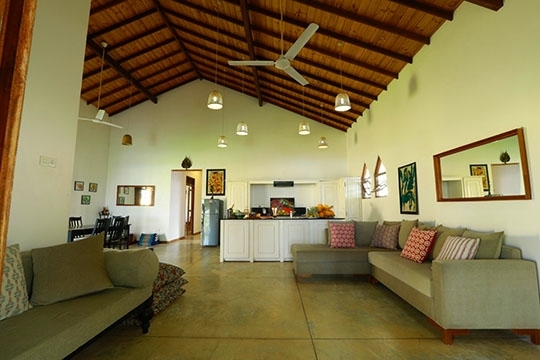 5 bedroom villa located in Ambalangoda, West Coast. 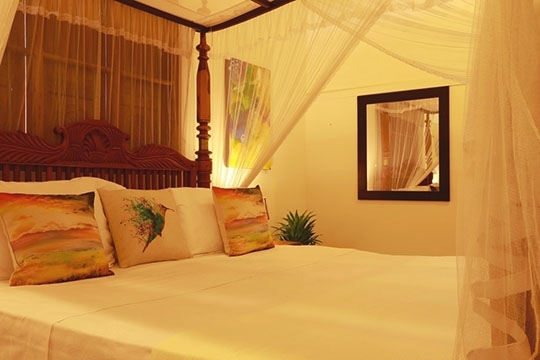 Ideal for Beachfront, Body and soul, Bring the relatives, Kid friendly, Fair share for groups, The great outdoors, Sensible for seniors, Room with a view.